Wedding is one of the most memorable and special day in one’s life. Every girl wishes for that day and thinks about that day. Starting at the early age she thinks and sketches that ideal bridal dress on her mind. Of course, it is obvious that every girl wants to look perfect on her wedding day, and so the dress comes first in that manner. Western Brides wear white bridal gowns and frocks, Indian Bridals wear lehenga cholis, lehenga Kurtis, Shararas, Ghagras, and Sarees while Pakistanis wore Asian style gowns, frocks, lehengas and many more. Today we will talk about the Indian Bridal Dresses. It is a vast topic, but we will try to cover the majors of it. Indian Bridal Dresses are heavily embellished with different embroidery works. They have the special traditional taste that depicts the true Indian culture and traditions. There are a lot of famous dress designers who layouts their amazing collections of Bridal Outfits at different couture weeks. Here we will discuss the latest collections by famous Indian designers like Manish Malhotra, Rohit Bal, Ritu Kumar, Anita Dongre, J J Valaya and many more. In most of the Asian countries, the same wedding styles are being adopted with some changes like in countries of Pakistan, Bangladesh, Malaysia, Indonesia, India, etc. Latest Bridal Dresses Collection for Indian Brides 2015-2016 consists of hottest styles and designs of bridal wears. The assortment consists of trendy Sarees with embroideries like gotta work, Zari work, dabka, etc. They are further decorated with motifs, crystals, and pearls. 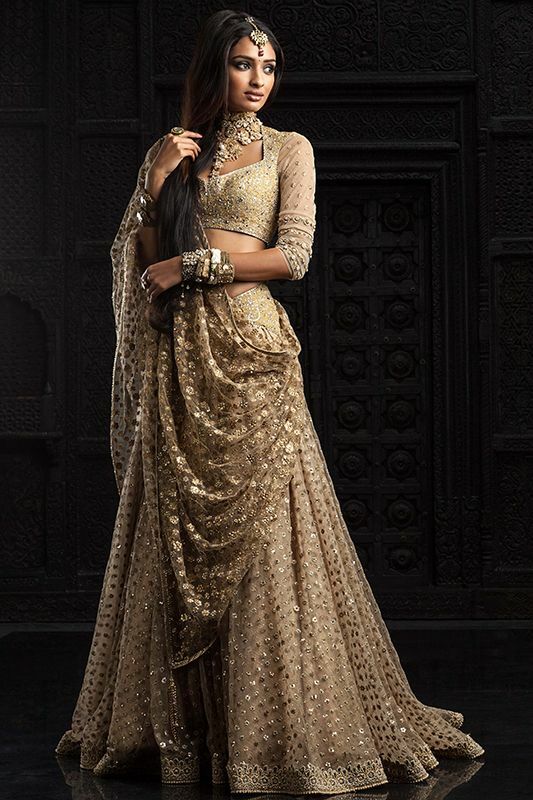 The chic Lehenga Choli looks so appealing with cool cuts and patterns. They are composed of net, jamavar, chiffon, silk, crinkle, georgette and other blended fabrics. Some have hand made embroideries that look so desi but interesting. The embroidery works include Border, Machine Embroidery, Patch, Stone, Thread, Zari, Zircon, etc. All the designs of Lehengas have their charm and novel idea. They are also paired with open front shirts having full and half sleeves mostly. It is a big trend to wear RED COLOR with GOLDEN embroideries at weddings, so the most of portion comprises of red color dresses but other than this combination of silver, peach, maroon, green, blue, pink, orange, yellow, etc. are also included. The combination of Orange and Pink seems so sophisticated to perfect to opt. The exquisite shades are with contrasted hues are blended thoroughly to give wonderful coloration patterns. 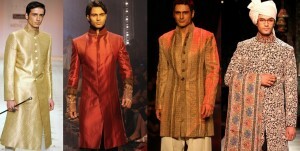 The pure eastern Indian culture is maintained here in these outfits. I hope you will love each design of this stunning collection and will choose the perfect one for your BIG DAY. Wish you the very best of luck for your wedding day and yes more for the bridal dress. Stay gorgeous and make your wedding memorable and shines like sparkle. May you be the best Bride ever! Saree is basically the national dress of India. Here we have posted the special assortment of wedding sarees for the women who are looking for their bridal outfits. Just have a look at the image gallery posted below and get inspired by the latest styles of the season! Indian lehenga is very famous and considered as the traditional dress for brides out there in India. Just have an eye at the stunning image gallery below and get motivated by the latest designs of the year!